South Florida’s premiere culinary event is right around the corner–Share Our Strength’s Taste of the Nation®!! 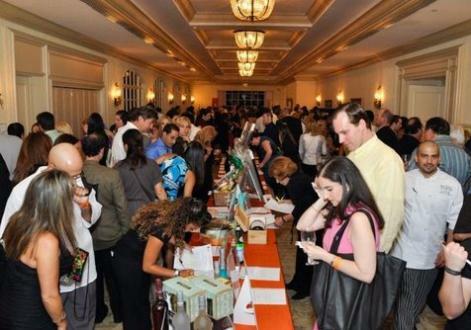 This year the event will be held at the super swanky Loew’s Hotel on South Beach and feature chefs and cuisine from over 50 South Florida restaurants who have donated their time, talent, and passion for a great cause! Spearheaded by Chef Allen Susser, founding chairman of Taste of the Nation Miami for 25 years, the event takes place on Tuesday, June 17 and the best part about the event is that 100% of the proceeds from ticket sales go directly to benefit Share Our Strength‘s mission to fight and end childhood hunger!! Chef Timon Balloo (Sugarcane, Bocce Bar) has been chosen as restaurant chair and has worked closely with many chefs to create an excellent roundup of local talent. This year an all-star team of chefs including Michael Schwartz, Jamie DeRosa, Todd Erickson, Jose Mendin, Bret Pelaggi, and many more will be creating amazing bites that event-goers can sample while pairing with delicious wines. Miami’s master mixologists will also be on hand to whip up some amazing libations. Event-goers will be treated to an evening of gourmet food and wine, do some dancing while listening to live entertainment, relax in a lounge area, enjoy cooking competitions, and also have the possibility to participate in live, silent, and wine auctions, and even go home with a gift bag! Like Share Our Strength says–“Doing good has never tasted better!” It will be a delicious evening for a wonderful cause!